Do you fancy doing something different on your next holiday? 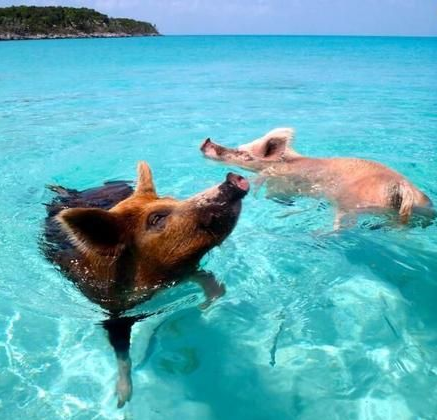 How about going on a trip to an island paradise in the Bahamas and, er, going swimming with pigs? Contrary to tradition, it is not simply Hollywood’s elite that lives in luxury in the Bahamas. There is a gang of extremely lucky pigs that also call the island paradise ‘home’. 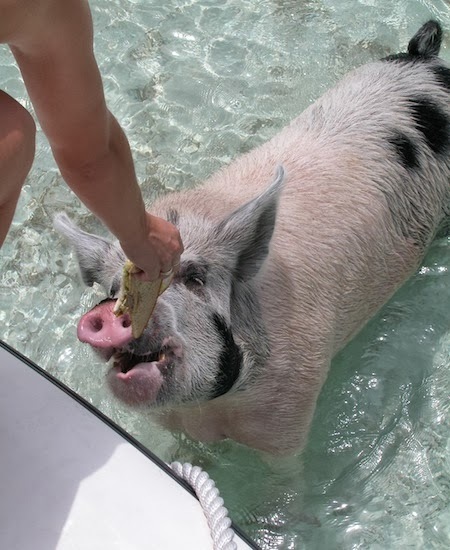 A group of around 20 wild pigs live on Big Major Cay in the Exumas and welcome visitors. 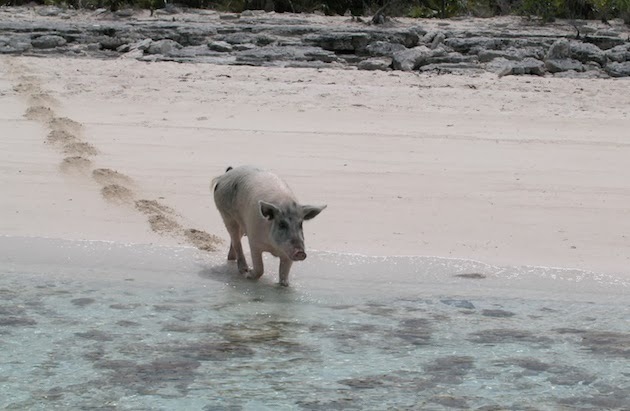 They are accustomed to guests and food coming hand in hand, so as soon as they hear the sound of visitors in the shallows the pigs come trotting out of the scrub and onto the beach. 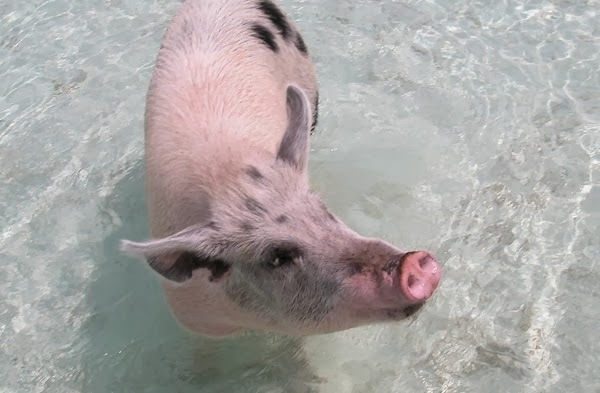 Whether you are swimming, or perhaps don’t want to disembark your boat, the pigs are unfazed and will simply charge into the water and swim to you. They are inquisitive and splash right up to check you out and, of course, graciously accept any food scraps you have to offer. According to some people the pigs were left on the island by sailors who planned to eat them but never came back. I prefer another, more adventurous, story which claims they were on a boat that was shipwrecked and they swam to shore. Big Major Cay, or ‘Pig Cay’ as it is also known, is next to Staniel Cay in the Exumas. You can visit with your own boat or on a daytrip from Nassau, New Providence Island.